The Great Conversation asked Shawn Galloway, one of our keynote speakers on March 4 & 5 in Seattle, Washington, to provide us a way to self-assess our strategy for security before our forum. We all agreed that the following assessment is a great start. You can find and download the entire assessment and article here. We also have provided a link to his book that is referenced in the article here. Shawn will be available to sign and talk about his book and his unique strategy for aligning your culture, strategy and plan during the conversation. Read the following and then go to his website for further information. "Not paying attention to strategy is expensive. Each year organizations waste millions of dollars in time, resources, and effort. In our consulting practice we continue to see confusion: misunderstanding of strategy, real problems not addressed, misdirected effort, lack of personnel alignment, directionless short-term fixes, forgettable training, over-complexity, poor communication, cookie-cutter programs in place of strategic thinking, muddled motivation, poor incentives, not understanding what an existing organizational culture will tolerate or accept, misinterpretation of data, and attention to results without a clear understanding of how they came about. And these are just a few of the unproductive situations we encounter in our work. But most of all we see a lack of focus on generating and measuring ongoing contribution to value throughout the organization." 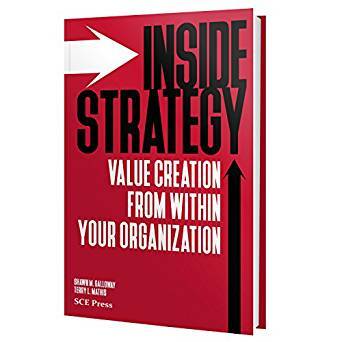 (Inside Strategy: Value Creation from Within Your Organization, Galloway & Mathis, 2016). No clear vision — It must be clear what new success will look like. What would the results be, what would be common within the culture, what would people see and hear that confirms why the results were obtained? This vision should serve as a qualifier that future decisions are made against. Not using data to prioritize — While strategy begins as a hypothesis, data must drive the decisions. What does the data tell you about the opportunities for both safety performance and culture? Are injuries or risk mostly with new employees or seasoned? Run a trend analysis on all commonly tracked variables from incident and injury investigations. What beliefs and behaviors are not aligned currently? What are the common experiences and stories that need to change? Not considering the culture — Are programs deployed with current and future culture in mind? Culture will be why your compliance or advanced efforts fail. It will also be why your overall strategy succeeds or fails. No roadmap — The priorities and initiatives must paint a clear picture of where we are going and why, and what the steps are along the way. Not planning across multiple years — There should be a minimum three to five year time horizon that decisions are charted across. What can you really do in year one? What should be deferred to subsequent years? Taking on too much and not following through is a common execution trap. Not aligned with the business strategy/trajectory — Safety strategy must support rather than hinder the overall trajectory of the business decisions. Will growth occur organically or through mergers and acquisitions? Safety should be part of the business decisions, and business leaders should be part of the safety strategy decisions. Safety strategy should not be delegated to the safety leaders. Lacking balanced scorecard — Measurements should prompt, direct, align and motivate actions towards the goals, not just tell you end results. There should be leading indicators as well as transformational indicators that validate the efficacy of your choices and the value derived between actions and results. Measurements must explain the why behind a change in results. Actors do not know their individual roles, responsibilities and results — Individuals at all levels need to see themselves as actors in the strategy, aligned toward the strategy, and held accountable for the performance needed from them to affect the results. No continuous marketing plan — You have to market for discretionary effort. What is the brand and how do you position it? How will you listen and respond to the voice of the customers of your strategy and reinforce the decisions to buy in? The "What's in it for me?" question never goes away, although the answer changes over time. If you have a great strategy and no one knows it, it isn't a great strategy. Not regularly updating the customers and stakeholders on the progress and current position in the plan — Your strategy customer needs to know where they are in the strategy as time passes. It is vital to explain why you now pursue the next area of focus and how it fits within the plan already created.